Master Developer or Franchisee – Which one is right for you? Master Developers share in the franchise fees and royalties and own a geographic territory to sub-franchise. Master Development opportunities are available both domestically and internationally. 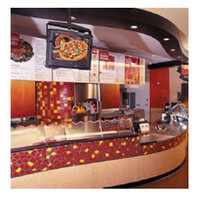 RedBrick offers one of the most affordable, turnkey franchise packages in the industry. Franchisees have the opportunity to bring the upscale RedBrick CaféTM to their local neighborhoods as a single or multi-store ownership. Q. When and where did RedBrick get its start? A. RedBrick began in 2001 in Southern California. Q. What makes RedBrick Pizza unique? A. RedBrick's Fire-Roasted Gourmet PizzaTM is healthier than ordinary pizza and is roasted in RedBrick ovens at more than 1000° in just three minutes, which results in a delicate, golden crust. Q. Where are RedBrick Cafés located? Q. What type of growth has RedBrick experienced? A. RedBrick has experienced double-digit growth in the recent past, and continued growth is expected over the next several years with the number of RedBrick Cafés rapidly approaching 100 and development agreements for hundreds more. Q. What is RedBrick Pizza's long-term goal? A. RedBrick's goal is to be the #1 fast causal fire-roasted gourmet pizza chain. JOIN IN REDBRICK'S ITALIAN EPICUREAN ADVENTURE! Visit one of our RedBrick Cafés, taste our fire-roasted gourmet menu, sit down and meet with us. Be a part of the growth and excitement of RedBrick Pizza Worldwide, Inc.
To receive more information about RedBrick Pizza's Master Developer or Franchise programs, simply click the button below.